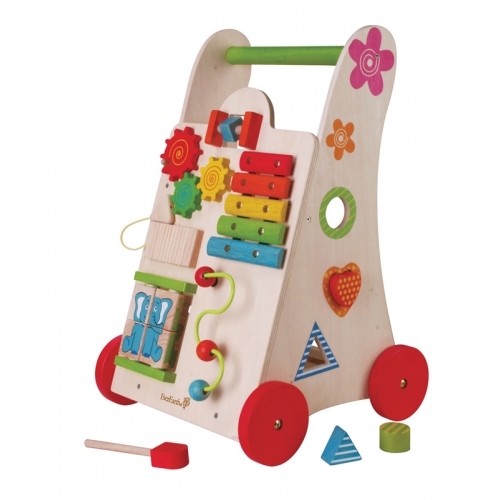 This gorgeous wooden Activity Walker from EverEarth is amazing and so much fun to play with! 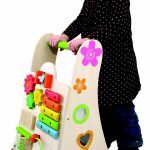 Both sides feature lots of little activities and sound-producing options – including a mini xylophone, bead wire, peg maze and many more. 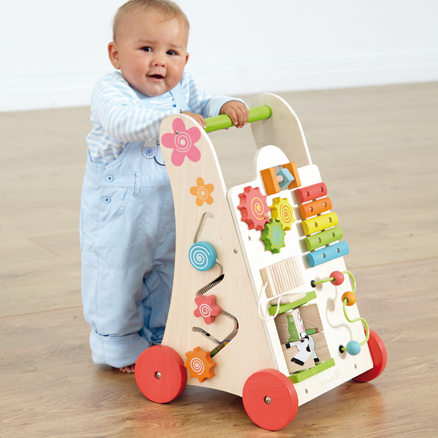 The Activity Walker moves around on four wheels, so your little one can take it along – wherever they choose to roam! 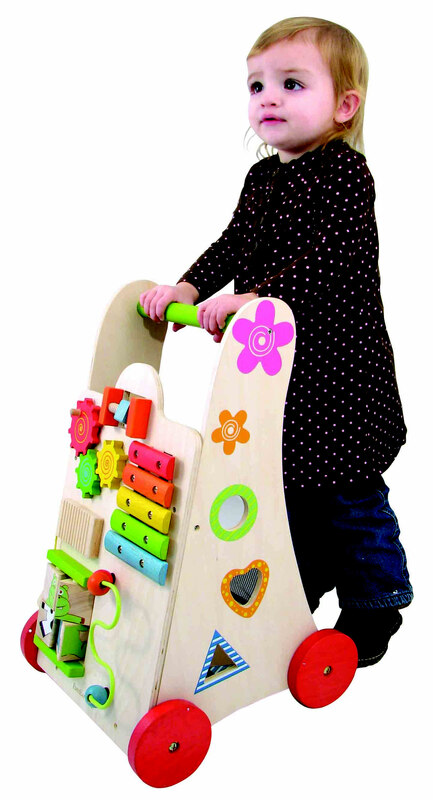 At the rear of the activity walker there is also a netted storage compartment to keep extra toys. 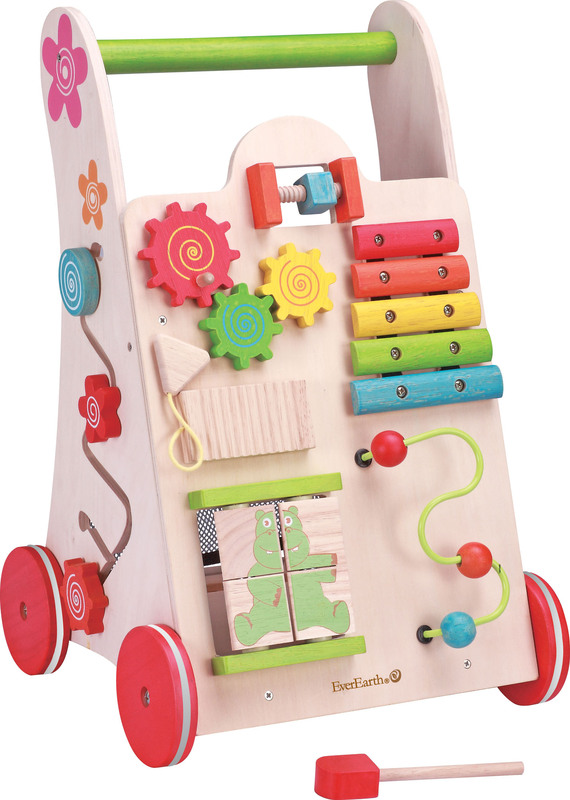 Beautifully made using ethical manufacturing processes, this timeless toy will provide years of educational play. 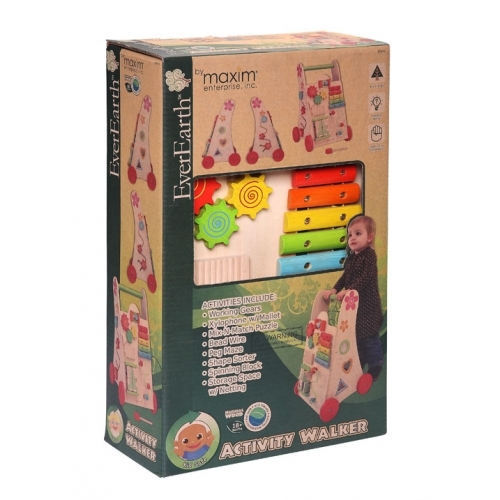 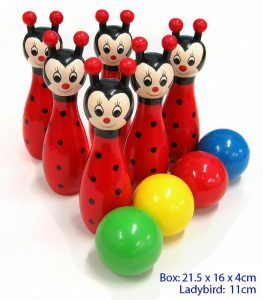 Made of solid wood and painted with safe, non-toxic, water-based paints and comes in 100% eco-friendly packaging.